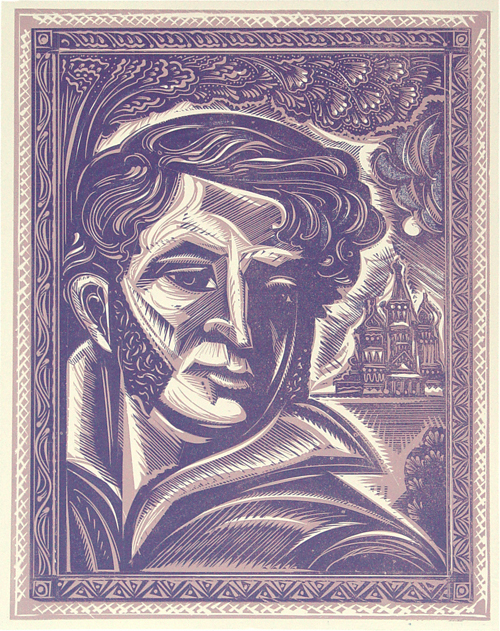 Alexander Pushkin print by Stephen Alcorn, 1987. Yakhot, Yehoshua (2012). The Suppression of Philosophy in the Ussr (the 1920s & 1930s). Oak Park, Mich., Mehring Books. Yakhot's book is essential reading for an understanding of the counter-revolutionary role of Stalinism and its devastating impact on every aspect of Soviet thought. Rare among works dealing with this period, Yakhot presents an objective account of the theoretical role of the major figures in the early Soviet Union - including, most significantly, that of Leon Trotsky, co-leader with Lenin of the Russian Revolution of October 1917. Yallop, David A. (1993). Tracking the Jackal: The Search for Carlos, the World's Most Wanted Man. New York, Random House. In riveting prose, Yallop asks how a man accused of so much can remain free. A decade-long search leads the author to conclude that Ilich Ramirez Sanchez--the Venezuelan-born Catholic turned Leninist turned bourgeois known as Carlos the Jackal--is in fact an agent who worked for a dozen intelligence services, including the CIA. Yallop refutes allegations that the real Carlos was at the 1972 Lod or Munich Olympic games massacres and shows how the 1975 OPEC Conference hostage-taking episode turned into a major blunder that was nevertheless used to help build a mystique around the "terrorist." Indeed, the book is filled with interesting allegations about Carlos's so-called achievements--acts he may or may not have committed. Yallop concludes that Carloswas a useful asset" to many folks who used his name to create the perfect terrorist scapegoat. Yates, Frances Amelia (1999). The Art of Memory. London; New York, Routledge. Yates, Frances Amelia (1999). Giordano Bruno and the Hermetic Tradition. London; New York, Routledge. Yates, Michael (2016). The Great Inequality. New York, Routledge. A growing inequality in income and wealth marks modern capitalism, and it negatively affects nearly every aspect of our lives, especially those of the working class. It is and will continue to be the central issue of politics in almost every nation on earth. In this book, the author explains inequality in clear, passionate, and intelligent prose: what it is, why it matters, how it affects us, what its underlying causes are, and what we might do about it. This book was written to encourage informed radical action by working people, the unemployed, and the poor, uniquely blending the author's own experiences with his ability to make complex issues comprehensible to a mass audience. Yates, Richard (2000). Revolutionary Road. New York, Vintage Contemporaries. Yates, Richard (2001). The Collected Stories of Richard Yates. New York, Henry Holt. Bitterness, loneliness and lack of fulfillment are the central themes of this grim posthumous collection. Yates (1926-1992) was the consummate writer's writer; his fiction influenced a generation of young admirers, including Andre Dubus and Richard Ford, but he has yet to achieve the name recognition of many of his disciples. This collection of 27 stories, seven previously unpublished, but most reprints from two long-out-of-print collections issued in 1962 and 1981, may change that. Yates is a gifted storyteller, particularly skilled at making emotional pain and sadness starkly real as his characters manage to live below even their own meager expectations. Compulsive failure Walter Henderson, the protagonist of "A Glutton for Punishment," plans his life as a series of expected defeats. In "The Canal" two veterans play at macho one-upmanship with phony war stories as their wives snicker with disdain. "A Clinical Romance" tells of the bickering and despair of men confined to a tuberculosis ward in a gloomy Virginia hospital. "Evening on the Cte d'Azur" is an achingly sad tale of lonely navy wives with too much time on their hands and too little self-esteem. Pitch-perfect in their gloomy detachment, these stories about the fractured relationships of lovers, friends, parents and children, and husbands and wives ring all too true. Yates's powerful dialogue and narrative make it entirely clear that no matter what, people are going to be only as happy as they have already made up their minds to be. Yeats, W. B. (1987). A Vision. New York, Collier Books. Yeats, W. B. and Richard J. Finneran (1996). 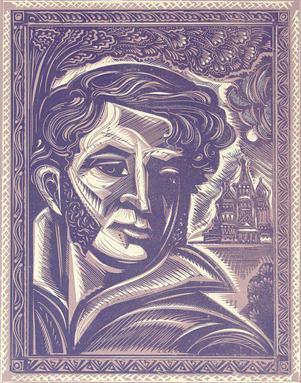 The Collected Poems of W.B. Yeats. New York, Scribner Paperback Poetry. Yergin, Daniel (2008). The Prize: The Epic Quest for Oil, Money and Power. New York, Free Press. Now with a new epilogue that speaks directly to the current energy crisis, The Prize recounts the panoramic history of the world's most important resource: oil. Daniel Yergin's timeless book chronicles the struggle for wealth and power that has surrounded oil for decades and that continues to fuel global rivalries, shake the world economy, and transform the destiny of men and nations. This updated edition categorically proves the unwavering significance of oil throughout the twentieth century and into the twenty-first by tracing economic and political clashes over precious "black gold." The canvas of Yergin's narrative history is enormous -- from the drilling of the first well in Pennsylvania through two great world wars to the Iraqi invasion of Kuwait, Operation Desert Storm, and now both the Iraq War and climate change. The definitive work on the subject of oil, The Prize is a book of extraordinary breadth, riveting excitement, and great value -- crucial to our understanding of world politics and the economy today -- and tomorrow. Yoshino, S. (1996). The Natural Aquarium: How to Imitate Nature in Your Home. Walnut Creek, CA, TFH Publications. A beautifully photographed book, with many ideas for creating natural or biotope type aquarium setups. Young, James Van (1993). Landmark Constitutional Law Decisions: Briefs and Analyses. Lanham, MD., University Press of America. This book consists of 150 of the most important United States Supreme Court decisions from the first decade under the Constitution to the present. These accounts include "briefs" and analyses. The author also provides a table that summarizes the main features of each tenure and an extensive glossary. This is a highly readable chronological account of the growth of American constitutional law. Young, Julian (2010). Friedrich Nietzsche: A Philosophical Biography. Cambridge England; New York, Cambridge University Press. Young offers a smooth integration of biographical detail and philosophical analysis so that one can readily see how Nietzsche's life and thought informed one another. He stakes out some controversial interpretive claims, but even setting these aside, Young has produced a study that must be read by every Nietzsche scholar and by anyone interested more generally in the shaping of the modern philosophical landscape. This webpage last updated on Sunday, February 17, 2019 10:45 AM.